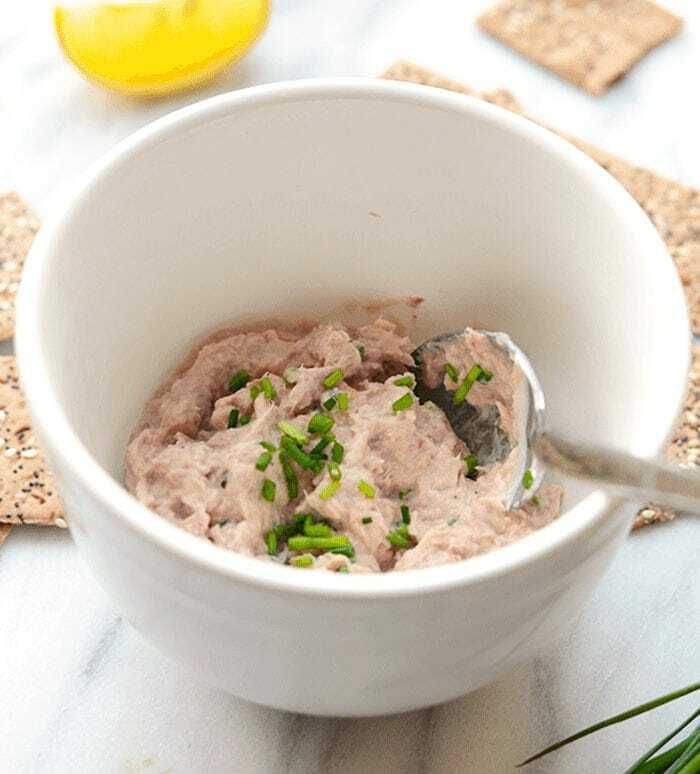 Are you looking for a tuna salad made without mayo? You hit the jackpot! 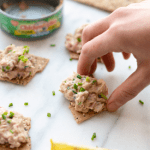 This quick, 4-ingredient Healthy Tuna Salad Recipe only takes 5 minutes to make, and is packed with 34 grams of protein. 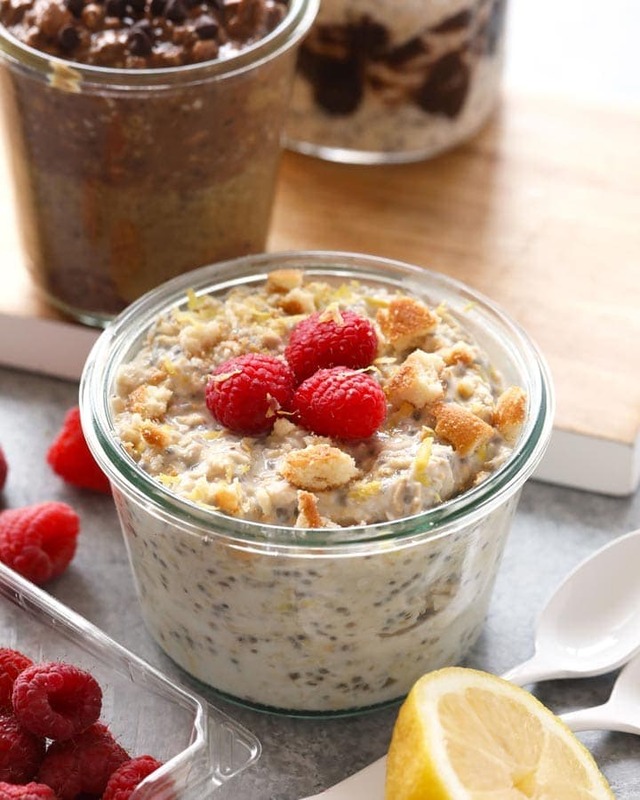 The perfect post-workout snack! 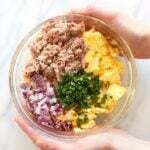 One thing that we’ve been focusing on this year is refueling properly after workouts. This means more protein and hopefully less sugar. 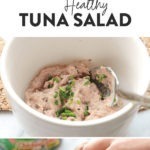 We’re big energy ball fans over here, which are a bit higher in sugar, so this healthy tuna salad has been a great alternative. 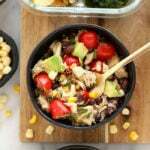 I’m quick to grab a piece of fruit or a ball after a strength training workout, but what I should really be refueling with is PROTEIN. 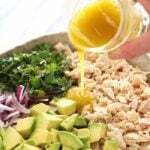 That’s where this amazing healthy tuna salad recipe comes in! Seriously, that’s it! 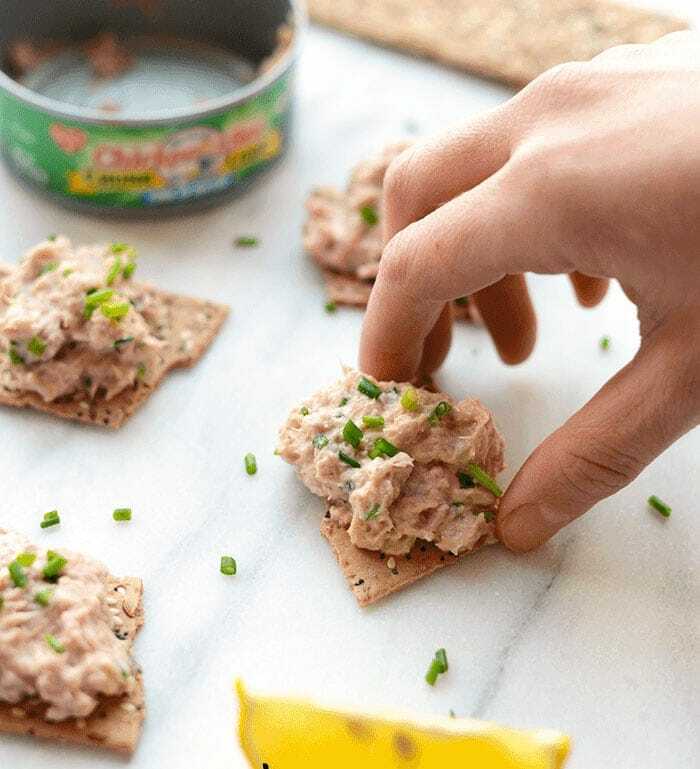 So, the next time you want to make a high-protein snack make tuna salad, no mayo is needed to get that delicious tuna salad flavor you love! 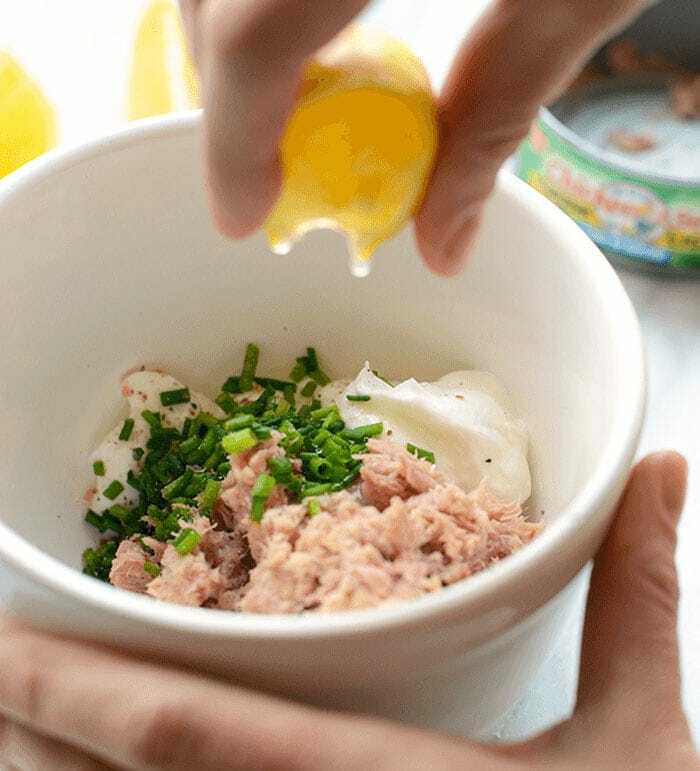 Place all ingredients into a small bowl and mix. 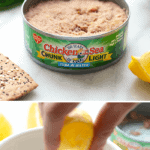 Enjoy with whole grain crackers, toast or as a lettuce wrap! Will keep in the fridge for 3-5 days.